Wild Haven needed to reach out to their target group and highlight their USPs by integrating it in their visuals (logo, tagline, website, etc. ), all the while maintaining the professionalism and integrity of their web space, meaning they wanted to be persuasive without being pushy. We leveraged the ‘wildlife / proximity to nature’ USP by redesigning their logo based on famous local wildlife in the area. We also gave their website a makeover to improve UI and make the website more accessible. 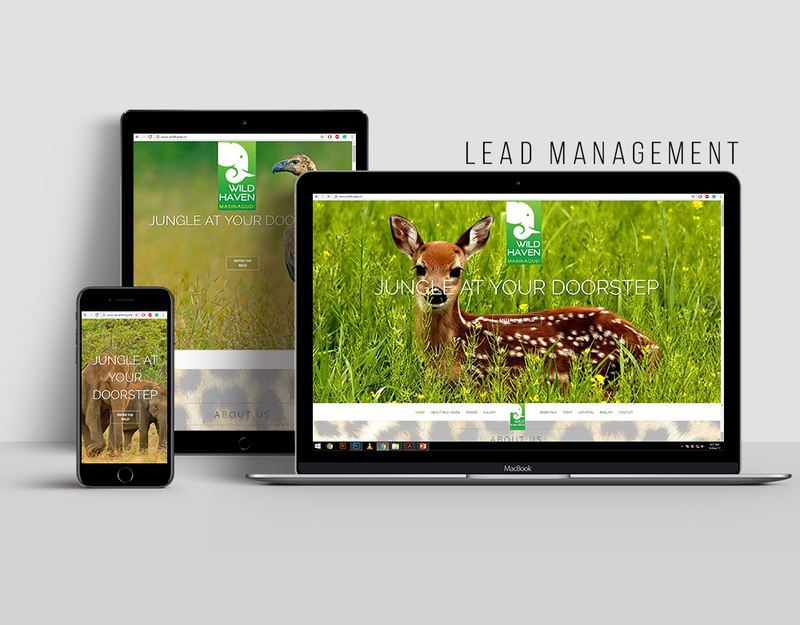 We integrated a nature-centric strategy in our design and marketing efforts through and through. The website attracted more footfalls and web-related engagement significantly rose from 30 to 100 leads a month. The repositioning of the resort was successful and the key USPs were effectively communicated with the target group, which was in line with their long-standing marketing objectives.